Primor Credit card is secured credit card designed to help people with low income. 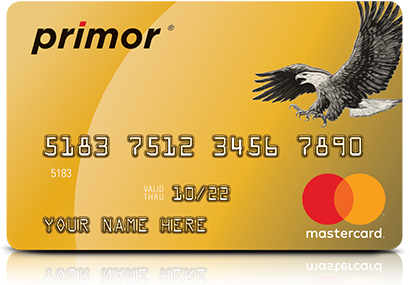 The Primor Credit Card is offered through Mastercard and is accepted worldwide at most retail outlets. The Primor Credit Card has a low fixed 9.99% Interest rate on purchases and you can get the secured card from $200 to $5000. The Primor Credit Card has no processing or application fees, normally, secured credit cards are expensive to apply for but this credit card does not have excessive charges. Another feature is there is no minumum credit score requirement, low fixed interest rates and no penalty rates. The Primor Credit Card reports to all three national credit bureaus so this is a great way to repair credit for low income individuals. The Primor Credit Card has a fast and easy application process. You can actually apply in minutes and get approved even if you have adverse or no credit history. This is a fantastic credit card if you want to build your credit score or have bad credit and want to show creditors that you can manage money. The more payments you make on time the better your credit history will get and you will then be able to apply for premium credit cards, loans, and mortgages. This route can open many doors in terms of credit and is definitely worth considering. For more information on the Primor Credit Card click HERE.